Premier League. Friday December 21. Kick-off 8pm. Live on Sky Sports. WOLVES are back on the rise and love taking a bite out of the Premier League big boys. After their super start to the season dissolved into a six-game winless run the Midlands outfit have rallied in style with three straight victories, including the home scalp of Chelsea. The Blues are not alone in leaving Molineux empty-handed – Man City and Everton were held to score draws. Wolves are flying high in seventh place and have a strong record against top-eight sides, with four draws, a win and just one defeat (to Spurs) in six matches. Nuno Espirito Santo's side are happy to concede possession against bigger sides, stay compact then hit on the counter and it's a tactic that has served them well so far. They are 23-4 at 888Sport to inflict a first defeat of the season on a Liverpool side who top the table by a point from Man City with a club record 45-point haul from 17 games. In Wolves' home meetings with big guns Man City, Chelsea, Spurs and Everton they've bagged a second-half goal each time and same again is worth backing at 6-4 with 888Sport. They'll have to be at their best to take anything from the Reds who've reeled off six successive league victories and are 13-25 at 888Sport to make it seven in a row and guarantee they're top of the tree at Christmas. Away from Anfield Liverpool have won seven and drawn two, scoring 19 and conceding just five. Still, considering Wolves' flying form the 10-11 at 888Sport for both teams to score is an attractive proposition. Liverpool have netted 3+ in their last three away games and are 21-10 to continue that trend while two or more Reds goals pays 8-13. Over 2.5 match goals has landed in three of Wolves' last four and tonight's showdown has the makings of a thriller with three or more goals paying 5-6. 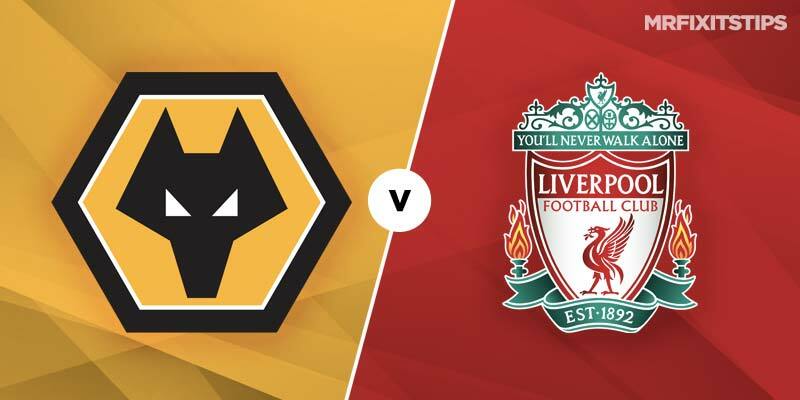 Wolves centre-back Conor Coady could be in for a torrid night against Liverpool's fab three frontline and, having been booked in two of his last three appearances, is decent value for a card at 9-2. Conor Coady looks a good shout for a booking,obviously he is well known from the Liverpool ranks as that’s here he learnt his trade.